We are a family run poultry farm. Chicks and growers for sale. Hatching eggs when available. I also make huts and runs made to your size required as for the birds. The White Crested Black Polish are great looking birds and will make great showing birds. Chicks and Bits is a new enterprise set in the heart of north Yorkshire with a wide range of breeds to offer. We supply fertile eggs as well. Asselby Chucks is a breeder of pure and rare breeds also hybrds available at POL.Supplying hatching eggs to point of lay. 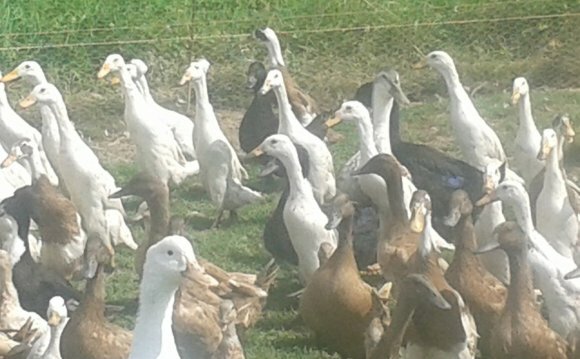 I breed poultry as my main hobby, what started as having a few egg laying hens has now developed into a wider interest into breeding pure breeds. We are small hobby breeders and sell a lot of our stock from day old, growers and point of lay. Any numbers available 12 months a year both wholesale and retail. Please call in advance. We sell from hatching eggs to point of lay. Various colours of Araucana available. All our birds are free range and in good health and condition and are all wormed and love roaming round the land and friendly. All hens to be collected and remember to fetch a carrier. Please contact via phone or email to check availablity. Lovely POL Girls for sale - ISA (yes as in savings!) - Hybrid RIR cross Rhodel Island White -Lays 300 first year - she really will save you money! And is friendly too! Brown with a few white feathers! I love hatching eggs, therefore I always have lots of stock for sale. These are quality pure breeds. If I haven't got what you are looking for I will be able to source it for you. We are a small family business who have kept chickens just for eggs for quite some time. Over time friend and then friends of friends have asked if we have any for sale. The chickens have become so popular that have we decided to breed them! POL birds available, all wormed, vaccinated and health checked. Free range and fed chemical-free products. Table birds are also available. We are now open every Saturday morning (no appointment needed) between 9.30am and 1pm - check website for additional opening days/hours. Please visit our website which is updated weekly BEFORE visiting to avoid disappointment if there is a specific hen that you are interested in, not all pure breeds are available. We are also stockists of Garvo Feed, BLISS Bedding and Agrivite range. See website for further details. All our birds are free range and sold at P.O.L. We have day old chicks up to p.o.l both pullets and cockerels. Visitors welcome by appointment only, we are a family run business with small children so apprechiate people calling ahead of their visit to ensure you are not disappointed - Thank you. We supply hatching eggs, day old chicks and ducklings to p.o.l. All our chicks and ducks are vaccinated. You are more than welcome to contact us for free advice. We are quality poultry breeders based in North Yorkshire specialising in day old chicks, we can also breed to order - you tell us what you want. We supply a range of quality breeds but mainly Cream Legbars. We often have point of lay hens in stock. We always have a variety of hybrids for sale all year round, also we have pure breeds seasonally so ring for availability.